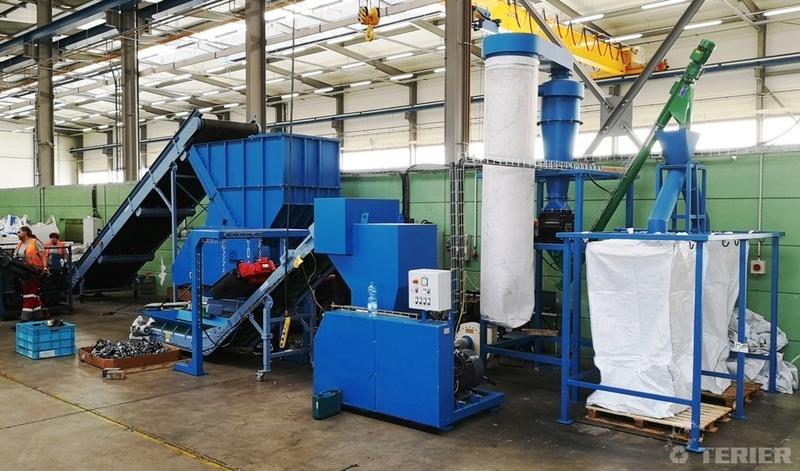 We dekivered shredding line for plastic waste to the company Veolia. 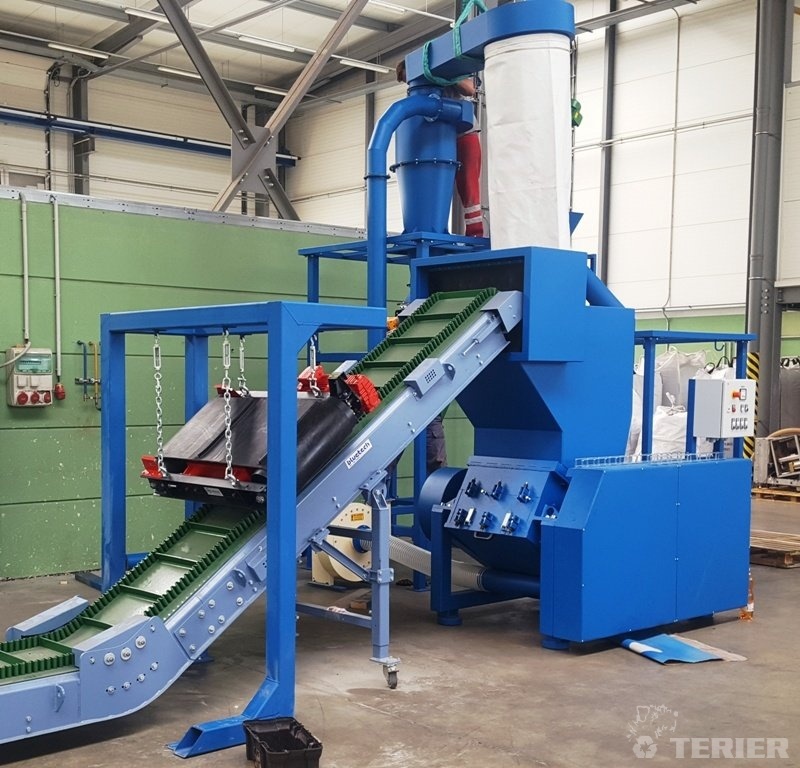 The line start with conveyor 500/4000, whixh feed pastic waste to the one shaft sjredder S1/350 1000. 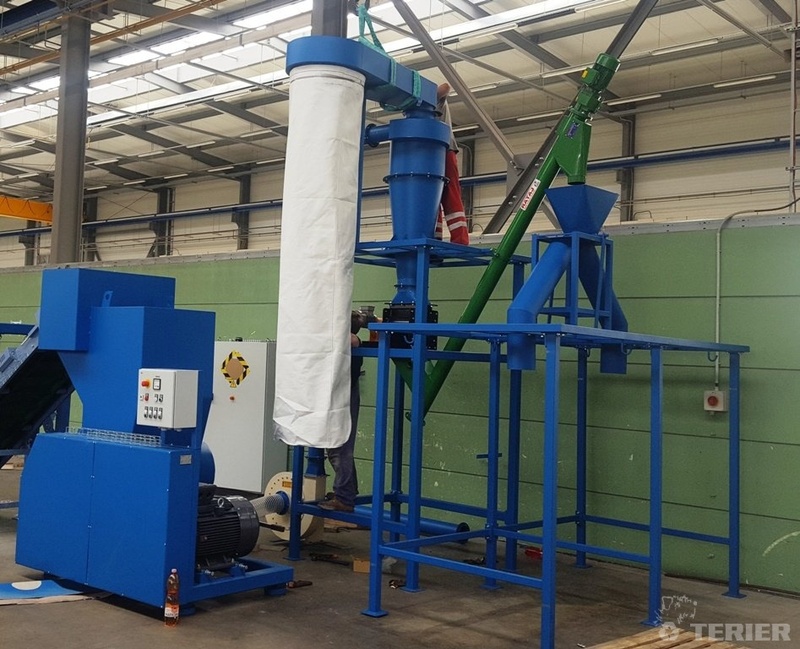 Dimension of plastic srap after the shredder is 50 mm (screen 50 mm). 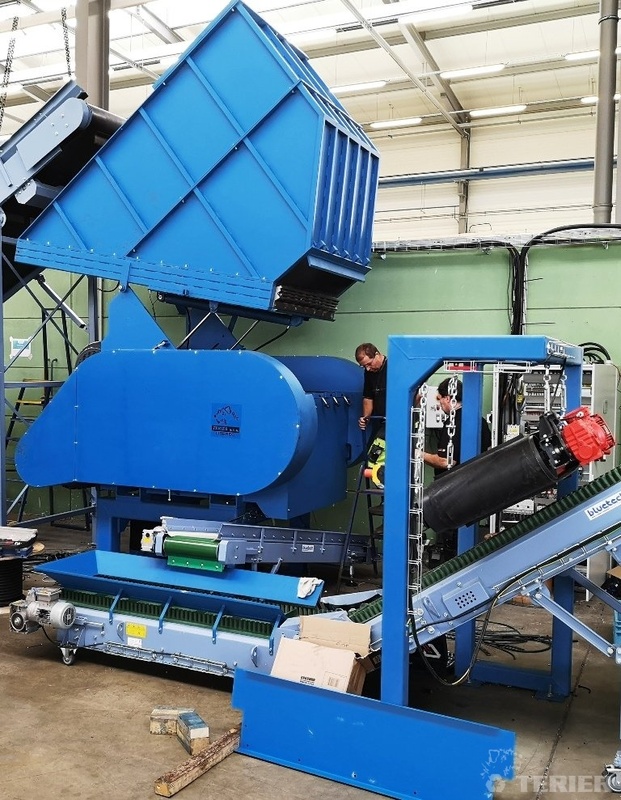 Scrap is stransported by conveyor 500/4000 mm to the knife mill G 400/600 45 kW. Over the conveyor is belt magnetic separator.